The kids are back in school and we’re all back to business as usual! 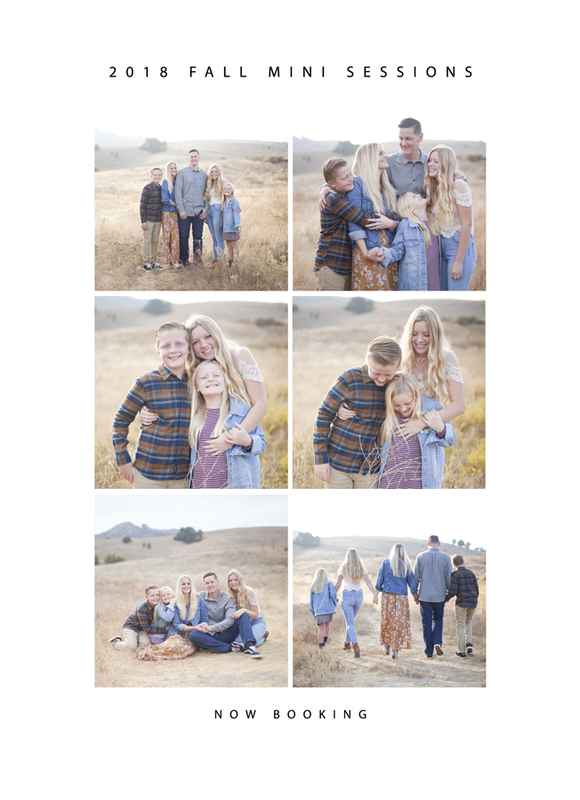 I am SO excited to announce that Fall Mini Sessions have arrived! These dates don’t work for you? Pick your own date, time & location! To book your session, contact Jessica at 949.292.4535 or jessicaholleyphoto@yahoo.com. Please arrive 10 minutes early as sessions are booked back-to-back. Session may be used for any type of Lifestyle session. Please add an additional $25 per person for any session over 5 people. All sessions must be paid in full to book your date and time. Space is limited. Please contact me to secure your date and time.